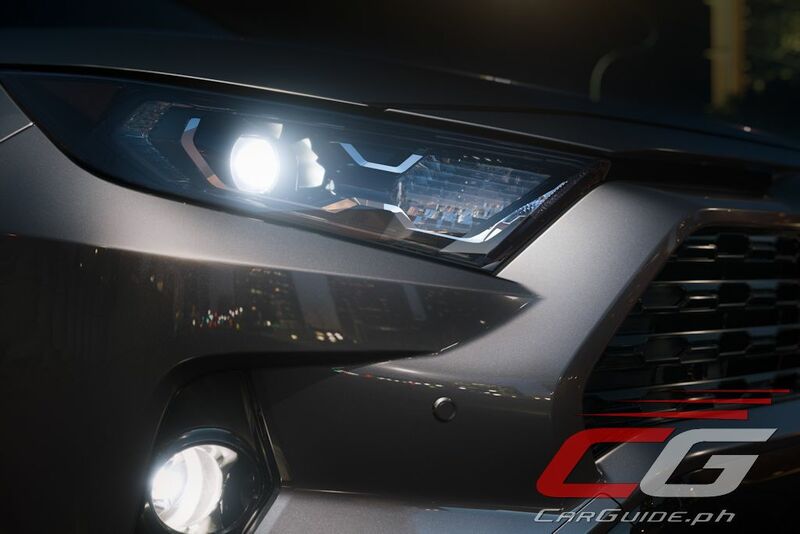 Toyota’s all-new 2019 RAV4 finally breaks cover at the New York International Auto Show. 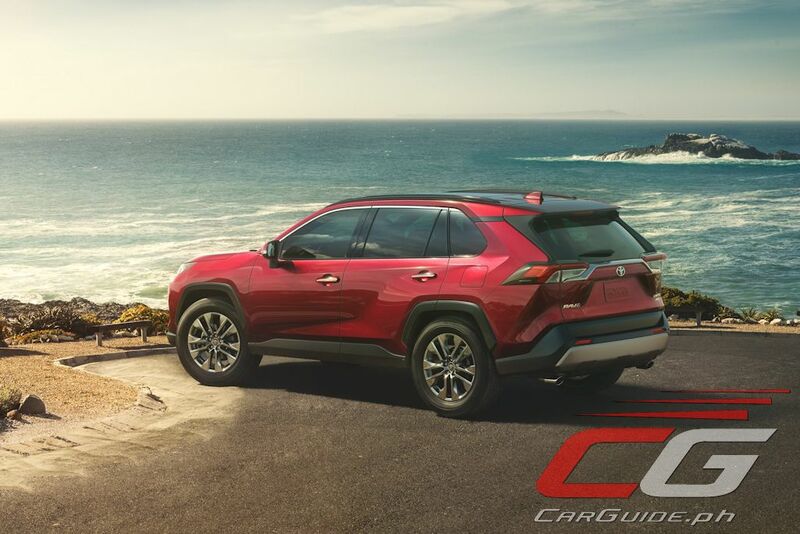 As the creator of the compact crossover segment in 1997, the fifth-generation RAV4 offers a robust new design and improved driving experience. 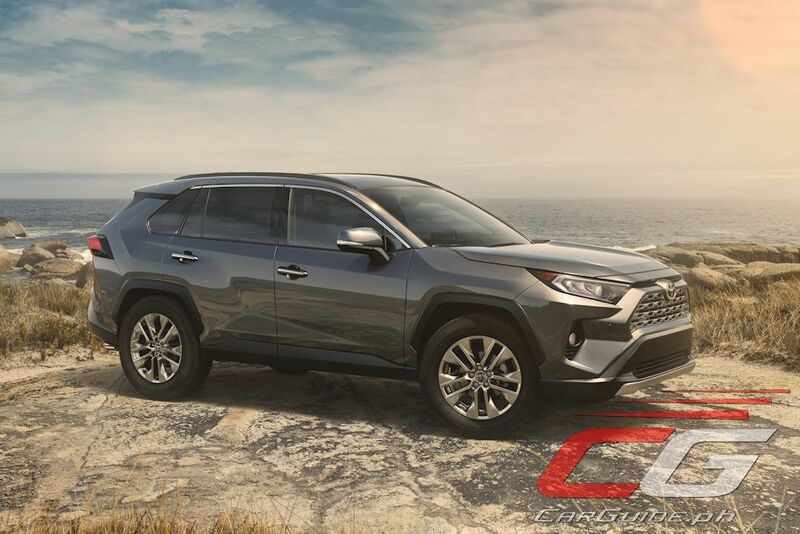 Utilizing the design theme of “Adventure and Refined”, the 2019 RAV4 emphasizes presence while maintaining high levels of finesse inside and out. Each body panel offers a chiseled appearance and the stronger face gives it a more dynamic profile. 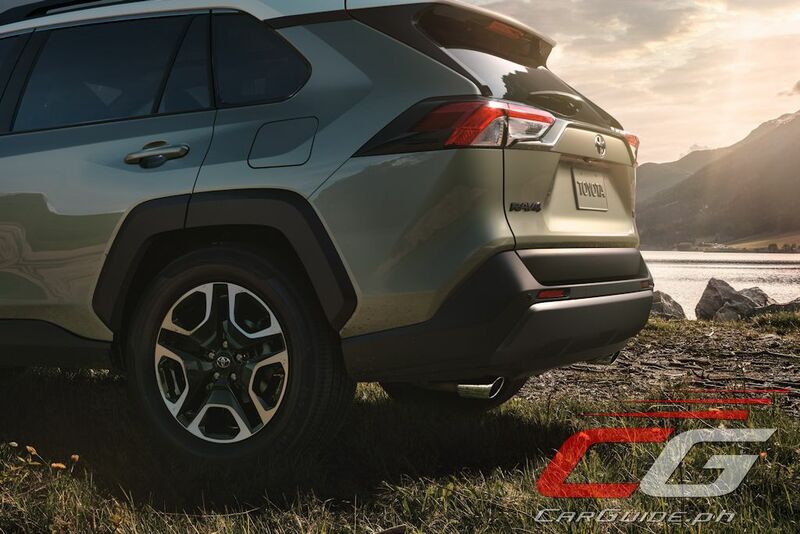 Bolder and tougher, the 2019 RAV4 is underpinned by the TNGA K Platform which gives adds width and wheelbase while reducing overall width. 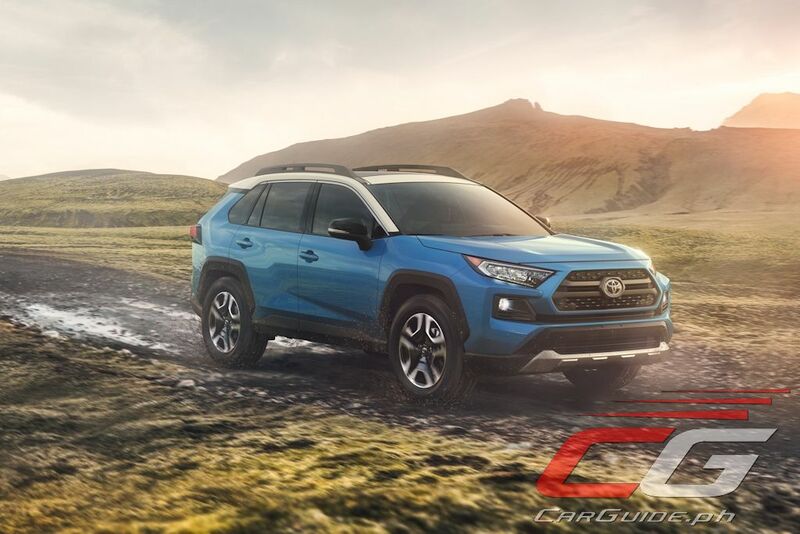 Shorter overhangs and an increased ground clearance give it better off-road capability while a 57-percent stiffer shell, wider tracks, and available 19-inch tires add on-road dynamism. 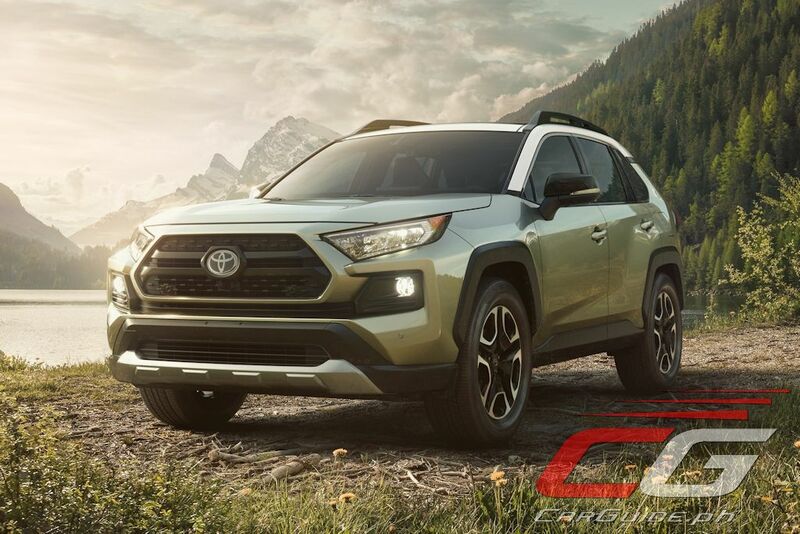 Along with the all-new platform, the 2019 RAV4 features Toyota’s all-new 2.5-liter Dynamic Force 4-cylinder engine. With a high thermal efficiency of 40 percent and a new Direct Shift 8-speed automatic, it should equate to a highly responsive, yet fuel efficient driving experience. 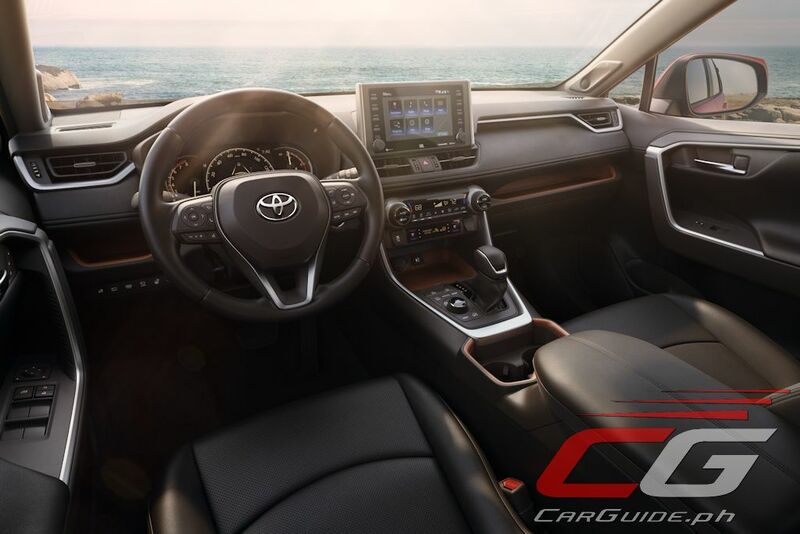 And as earlier guessed, a hybrid version joins the line-up powered by the same 2.5-liter Dynamic Force 4-cylinder engine mated with the Toyota Hybrid System II. 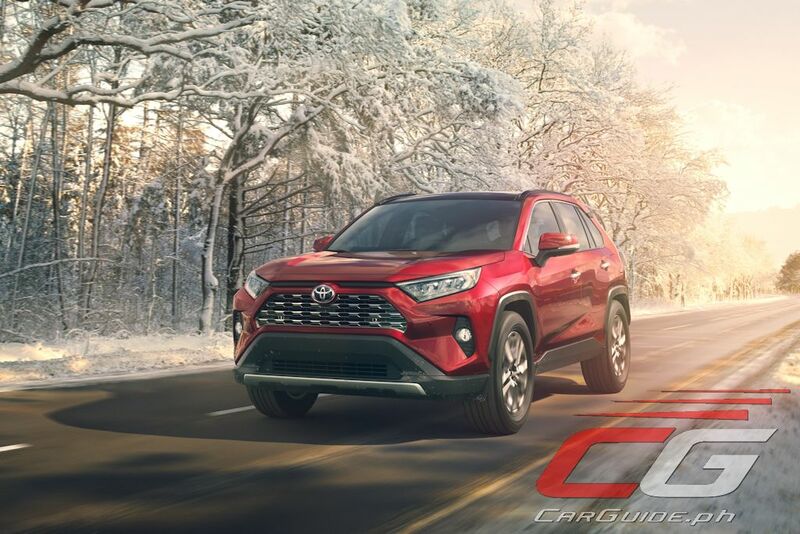 The 2019 RAV4 is available with one of three AWD systems. 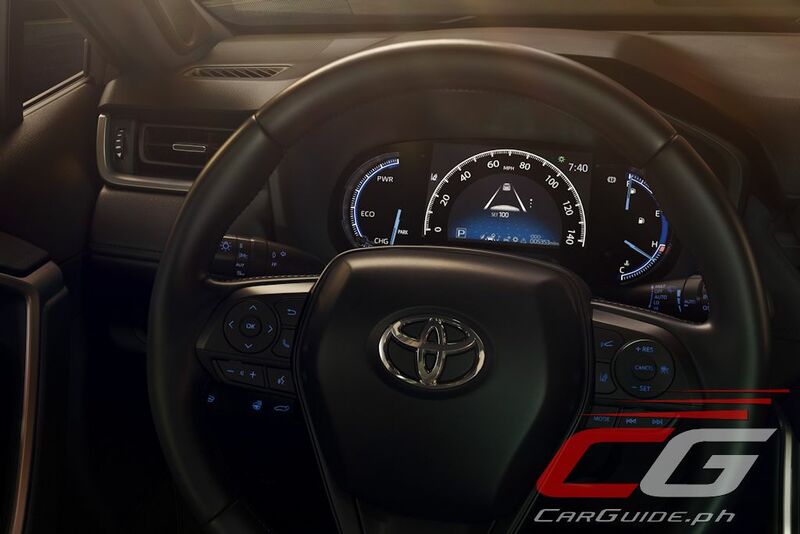 The first is the core AWD system on base models, the second is AWD-i on the Hybrid models and the third is Toyota’s first Dynamic Torque Vectoring All-Wheel Drive with Rear Driveline Disconnect. 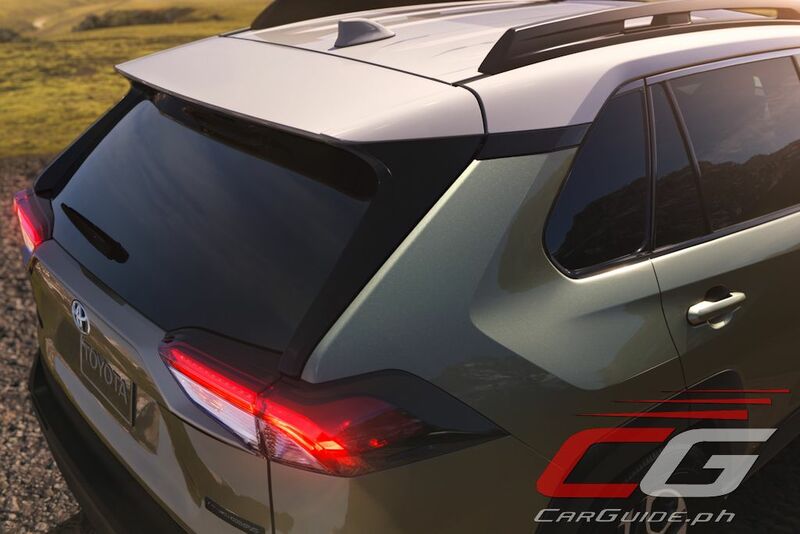 This system enables the RAV4 to send 50 percent of engine torque to the rear wheels plus distribute them to the left or right wheel for improved handling. When AWD isn’t required, it can fully disconnect the AWD system using ratchet-type dog clutches. 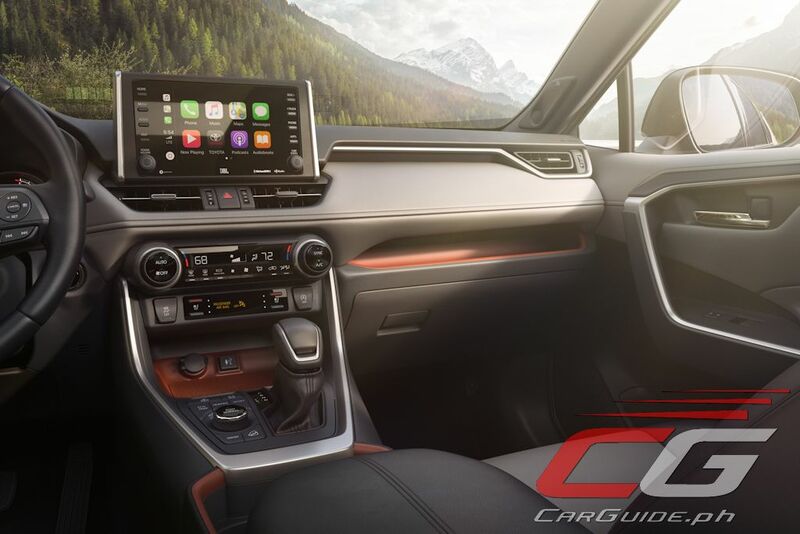 Inside, the 2019 RAV4 applies the theme of “Refined” to every part of the cabin. 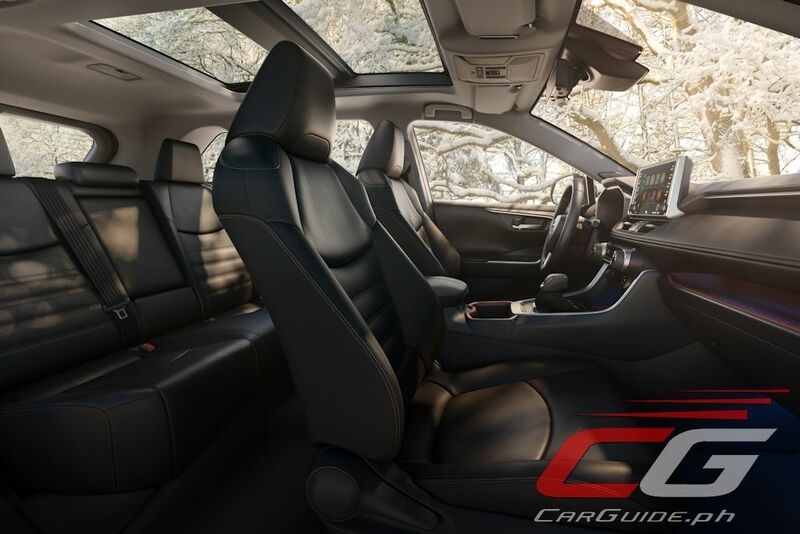 Ergonomics have been improved with the increase in the center console’s volume and adoption of more cubby holes, and even a Qi wireless charger. 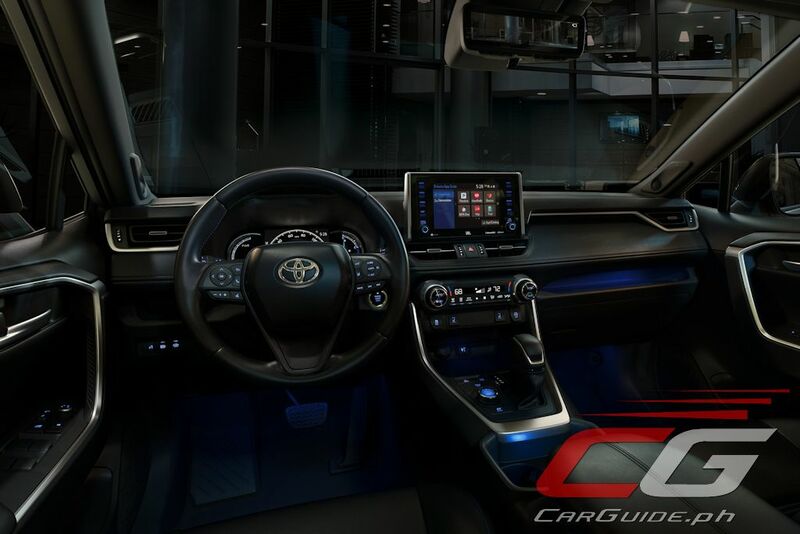 It also has an electronic parking brake and for the first-time, a Digital Display Rearview Mirror that offers an increased field of vision thanks to a high-mounted, adjustable wide-angle high-definition camera. 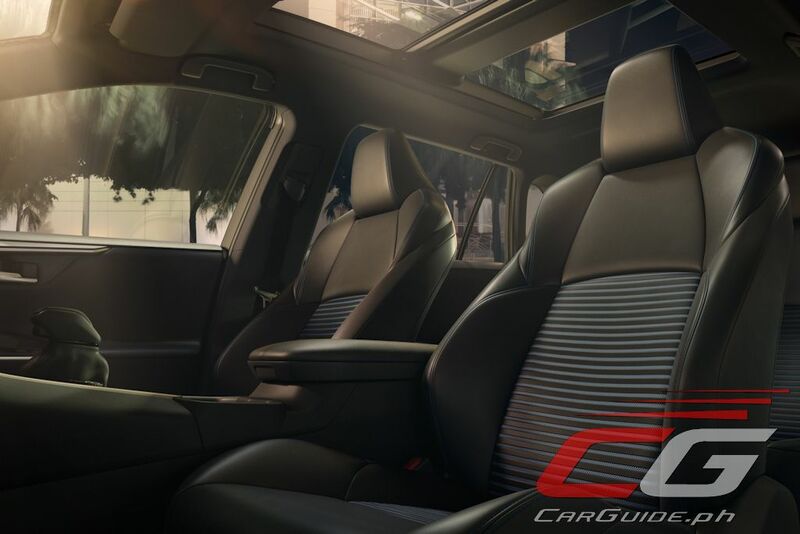 Other features include 8-way power adjustable seats, a 7-inch MID display, and a JBL audio system with Android Auto and Apple CarPlay. 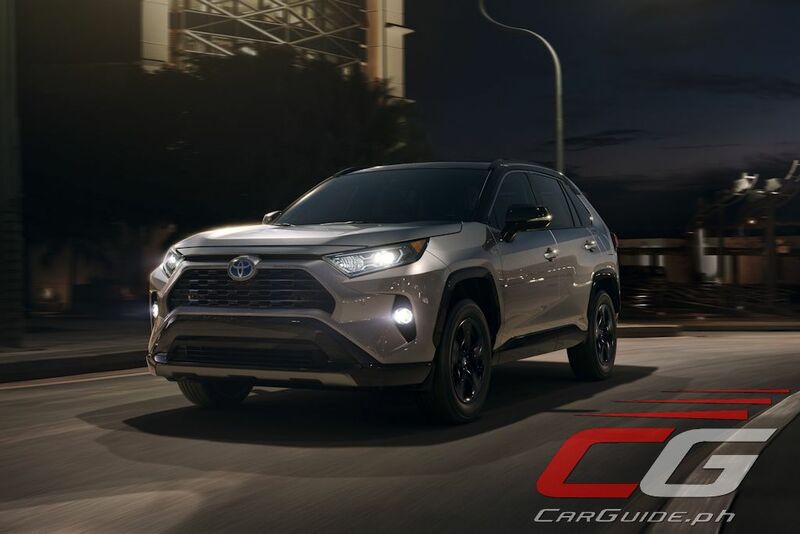 Like the 2019 Toyota Corolla, the RAV4 comes with the next-generation Toyota Safety Sense (TSS 2.0). This includes crash avoidance technologies such as pre-collision with pedestrian detection, full-speed range dynamic radar cruise control, lane departure warning, lane tracing assist, automatic high beam, and road sign assist. Kinda looks like the 4Runner but more on the ugly side. Hoping it will be priced and spec'd well enough. We Filipinos deserve better. It looks like a mix between the 4runner and the CRV. I like it. Oo nga ano, the rear has a resemblance of the CRV as well most especially the tail lights. We'll see how it looks in actual. 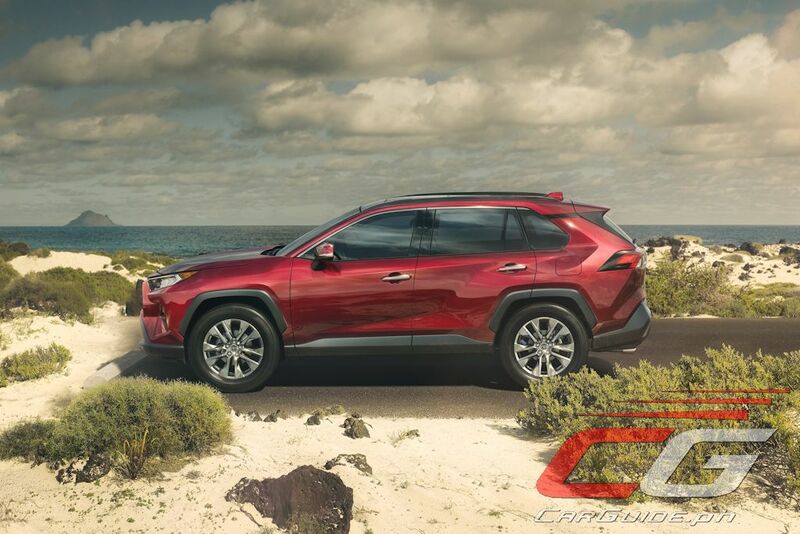 Looking good compared to current Rav4 that looks all plastic and way overpriced. It looks like from his descendant the "Lexus". I like this much! Hope it will be available in the Philippines by next year. It seems that it will sport different variants from the pictures depicted.